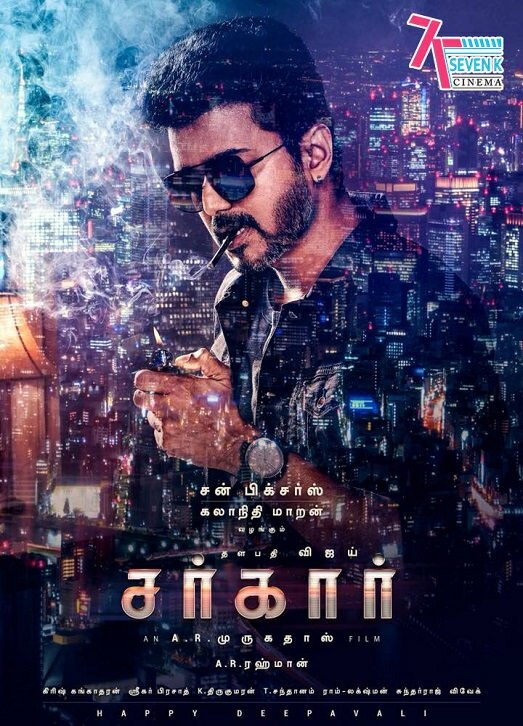 Sarkar is a 2018 Indian Tamil language political action film starring SUPERSTAR Vijay, Keerthy Suresh, Varalaxmi Sarathkumar, Yogi Babu and Radha Ravi. The film is directed by AR Murugadoss, co-written by B.Jeyamohan with music composed by A.R. Rahman, cinematography by Girish Gangadharan, edited by A. Sreekar Prasad and produced by Kalanithi Maran under the Sun Pictures banner.